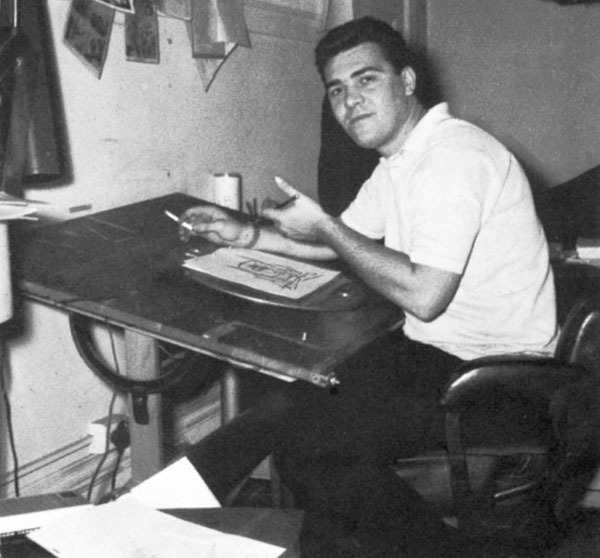 Talking with legendary animation icon Ralph Bakshi for the book The Mighty Heroes Declassified was an educational experience. He brought me back to 1966 when I was age 9. 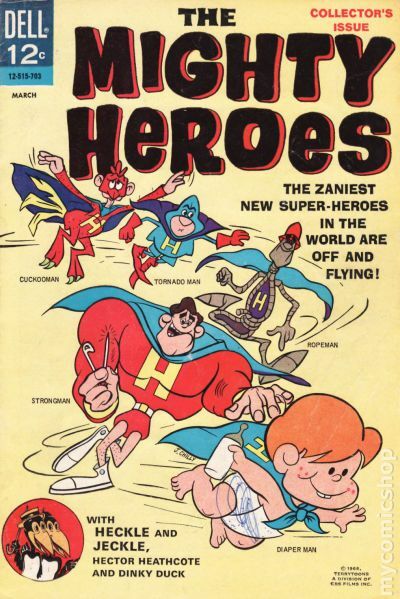 Back then, I was one of the countless children who became fans of the new Terrytoons’ cartoon on CBS, The Mighty Heroes. What I didn’t know then, and do now, is it was a time of celebration for Bakshi, but also disappointment. Terrytoons had been dying for years as an animation studio. Not even CBS, who bought Terrytoons a decade earlier to create TV cartoons for their network, was buying anything from them. At a meeting in early 1966, Terrytoons failed to sell even one show pitched to program director Fred Silverman. Bakshi then pitched The Mighty Heroes off the top of his head. It wasn’t anything he had thought of previously. But all five characters came out. Silverman liked it and bought it. What transpired was a victory for failing Terrytoons, thanks to Bakshi. Silverman stipulated he’d only take the series if Bakshi were the director and oversaw the entire project. But back at Terrytoons, that didn’t transpire. Bakshi was in the middle of a departmental tug of war. The series didn’t fully develop into what he imagined. But, he loved it just the same. Just as I did, at age 9. I even bought the comic books issued by Dell. I couldn’t get enough of The Mighty Heroes. 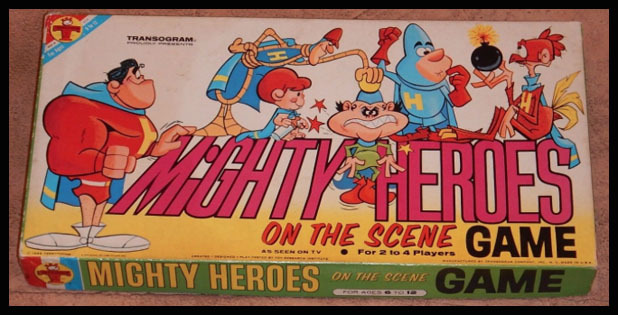 According to Bakshi, The Mighty Heroes was the springboard for his subsequent fantastic animation opportunities and achievements. The lessons he learned because of The Heroes were crucial to his career. If you speak up at the back of a room, sometimes you move to the head of the class. And while Bakshi seemingly pulled the idea for the super quintet out of nowhere, he understands “nowhere” isn’t a void. I agree that nowhere is actually a pretty enormous place, but disagree with Bakshi concerning his intellect. He is a genius and created a lot of magic on film. And somehow, some day, another call will go out for The Mighty Heroes. The Mighty Heroes Declassified is now available on Amazon.com. Anyone who had ordered “The Mighty Heroes Declassified” book from Amazon from November 18 to upon reading this message posted here on Cartoon Research on November 24, must go into your Amazon account, cancel the original order, and reorder the book. Payment for the transaction only goes through when a book is shipped. Thus, the original orders during this time period were NOT charged to the customer. Only $7.95 for your amended purchase will be charged. Amazon apologizes for the glitch and conveys “The Mighty Heroes Declassified” is now available for purchase without any issues and will ship promptly. Plus let’s face it, one of the best theme songs for a cartoon ever. Have you seen “Jonny Quest”? Marvel Comics and Paramount had a one shot comic book with The Mighty Heroes back in the 1990’s featuring a new female member to The Mighty Heroes and a new villainess as well. Wish they had a reboot of the Mighty Heroes. Speaking of which Ralph Bakshi while doing The New Adventures of Mighty Mouse he brought back The Mighty Heroes now posing as lawyers of the law firm of Man,Man,Man,Man & Man. I did like The Mighty Heroes. The great Herschel Bernardi, a wonderful actor and always in demand as a voice-over performer, really nailed the show’s opening narration. Also, it was such a step up in terms of design and wit from most of the latter-day Terrytoon material. It’s a shame the studio was unable to build and move forward from this. I look forward to this book. And don’t forget Allen Swift who did many of the voices in The Mighty Heroes. I thought Lionel Wilson did the majority of the character voices in “Mighty Heroes.” As a kid, I got a big kick out of the “call goes out” montage; looking at it now, I see how they used simple tricks like perspective to create fantastic effects. The designs of the heroes were funny and appealing as well. Credit where it’s due to Elliott Lawrence, a Broadway-musical conductor, who wrote the theme and scores. The boys made an appearance as the house band in Nickelodeon’s aborted TerryToons pilot Curbside. (I’m sure Jerry will have distain for this, but well….here you go: https://www.youtube.com/watch?v=FQZ-uu93p00).. 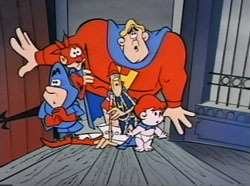 I enjoyed watching “The Mighty Heroes” during the show’s one year on the air, when I was in second grade. 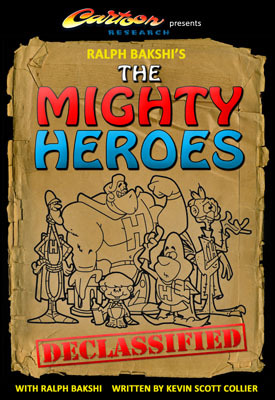 Anyone who had ordered “The Mighty Heroes Declassified” book from Amazon from November 18 to 2 p.m. EST on November 24, must go into your Amazon account, cancel the original order, and reorder the book. Your original order was not recognized or processed! Again, I will say it again, this complete series needs remastered and released as a dvd set. Why it hasn’t is way beyond my comprehension.